Barricade Graphics transform construction areas into sleek, attractive opportunities to advertise and inform. They create a simple, cost-effective way to mask unsightly construction activities from current and future customers. Barricade Graphics and Barrier Graphics are used by business owners and retailers to help keep their customers informed of who they are and when construction will be completed. Barricade Graphics provide the opportunity to broadcast a message and inform the public. Where are Barricade Graphics used? Barricade Graphics from Color Reflections Las Vegas are ideal for a number of clients and locations. Barricade Graphics help companies and businesses to convey specific messages during a time of transition. They can also introduce potential and existing clients to your brand or location. Barricade Graphics are perfect for concealing some of the less delightful aspects of construction sites and remodeling projects. Even if you may not need to conceal constructions areas, Barricade Graphics are ideal for brand introductions and advertising. 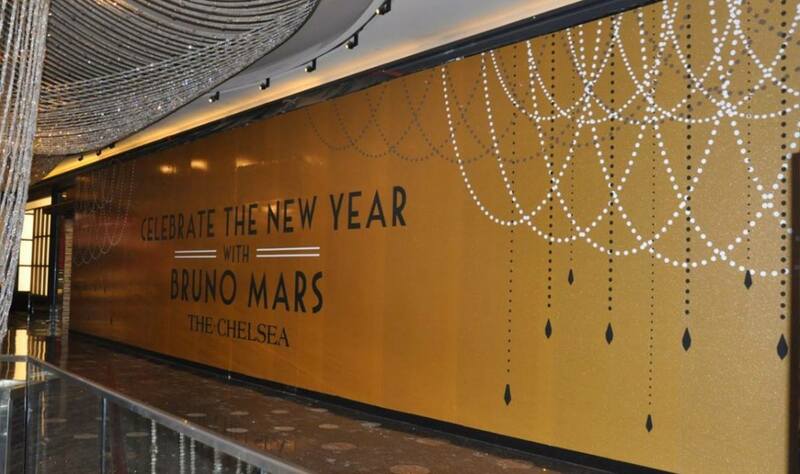 Barricade graphics are most frequently used throughout shopping malls, outdoor shopping promenades, and complexes. As different stores or restaurants become part of the shopping area, outgoing storefronts are covered using Barricade Graphics. They Barricade Graphics often highlight what will be arriving in that space and when customers can expect it to open. Shopping malls also use Barricade Graphic when making capital improvements or when expanding or renovating. Barricade Graphics can also be used to disguise vacancies in malls and shopping centers. Creative for these types of barricade graphics typically advertising the availability of the space. Retail storefronts are also frequent users of Barricade Graphics. They often use these types of graphics to conceal new construction or renovation. Barrier graphics provide these businesses with the opportunity to begin cultivating interest in their brand or their new location. They can help create a sense of excitement or anticipation for future openings or events. How do Barricade Graphics Impact your Construction Area? Construction can be an intrusive and tedious process. Whether you are remodeling small retail spaces, updating office spaces, building new office developments or completing major roadway work, Barricade Graphic should be a part of your construction plan. Clear delineation between construction areas and safe public paths are essential for safe and accident-free constructions projects. Your contractors should clearly outline a plan for when projects occur in public areas. Barrier graphics are an excellent solution for protecting the public and indicating clear construction areas. Barricade graphics are designed to keep areas clearly outlines until projects have been completed and business are open and ready for the public. Like wall graphics and other products designed to take advantage of blank spaces, Barricade Graphics are a great way to utilize the barricaded area to help inform the public. They can be used to communicate what work is being done and when to expect its completion. Barrier graphics can also be used to promote the business or company which will occupy the space. Barrier and Barricade graphics create a clean, simple and attractive facade for your company or business. No brand will benefit from being associated with a messy construction or remodel site. Even clean, white Barricade Graphics are superior to seeing the dirt and mess of construction. This is your opportunity to convey a specific message to future customers and clients. Color Reflections Las Vegas recommends using Barrier Graphics to control that message. 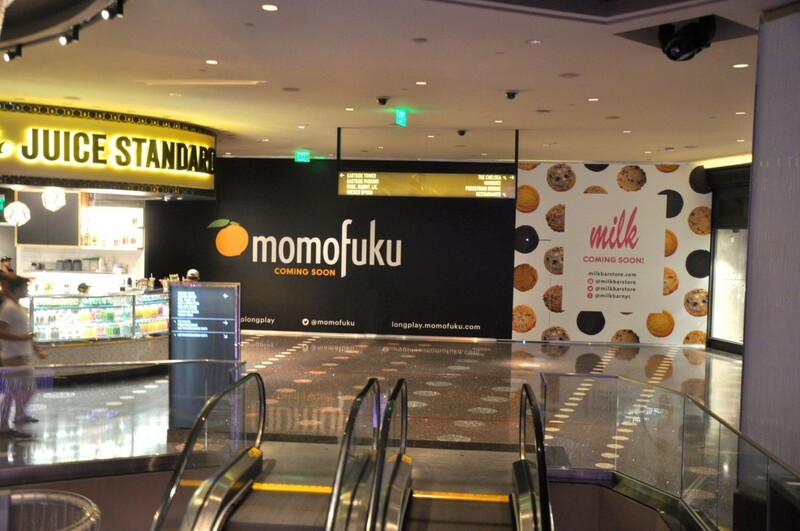 What are the Common Uses of Barricade Graphics in Las Vegas? In Las Vegas, you will find Barricade and Barrier Graphics when you are walking through retail malls, entering a business and when driving in your car. Construction happens everywhere! You can see much of our work when entering Casinos, Airports, Sporting Events, Theaters, Restaurants and along freeways. Color Reflections Las Vegas has worked extensively with casinos and business undergoing builds and remodels. 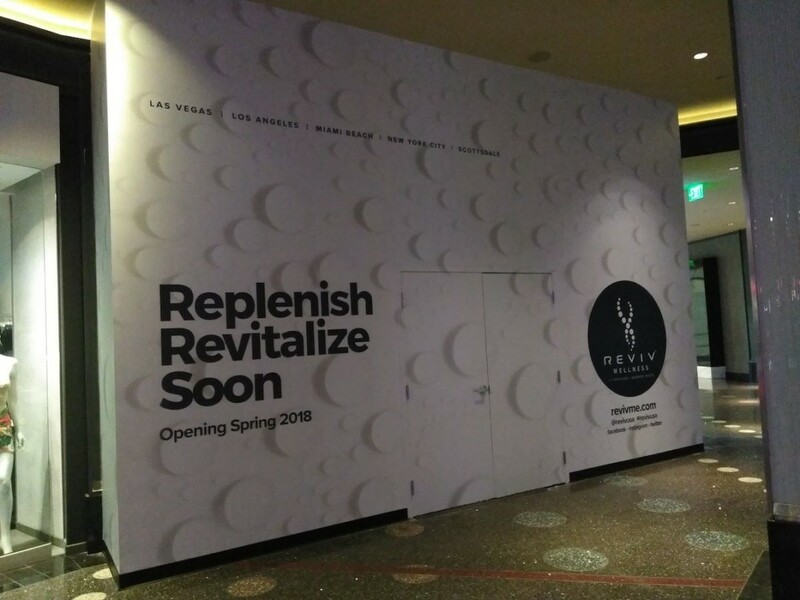 Although your Barricade Graphics may not be a permanent addition to your business or storefront, Color Reflections Las Vegas ensures that all of our products are durable and built to last. Our Barricade Graphics will outlive even the longest construction projects. We understand that there is often lots of machinery and heavy-lifting during construction projects and we’ve created Barricade Graphics that can withstand the test. Use this space to your advantage! Barricade graphics are ideal for communicating essential information about your business. Let visitors know when they can come back or attend your Grand Opening. Excited to showcase your service or product? Barricade Graphics are ideal for advertising your business! Disguise the appearance of a construction site and remodeling jobs using Barricade Graphics. These types of graphics give your future clients something more important to look at. Don’t allow your potential clients and customer associate your brand with construction. Color Reflections Las Vegas offers a beautiful alternative–Barricade Graphics. There is no job that’s too big or too small for Color Reflections Las Vegas. Our Barricade Graphics come in every size. They can be created for even the most unique spaces with the most difficult space constraints. Our professional can help you design and select the best size for your space. Not sure what size you need? Not to worry. The staff of Color Reflections Las Vegas are professionals. We are experts at determining the correct measurements for projects. Barricade Graphics take an unattractive construction area and transform it into a beautiful advertisement for your company or business. We print using the best materials and the most advanced printers. This means the products you purchase will have brighter, bolder colors with more details. Your messages and advertising will stand out from the competition. Full-color digital printing is perfect for creating life-like renderings or for bringing your brand to life. Be sure to select a large format printer who can guarantee your Barricade Graphic can stop traffic. The only thing that will limit your product is your imagination. 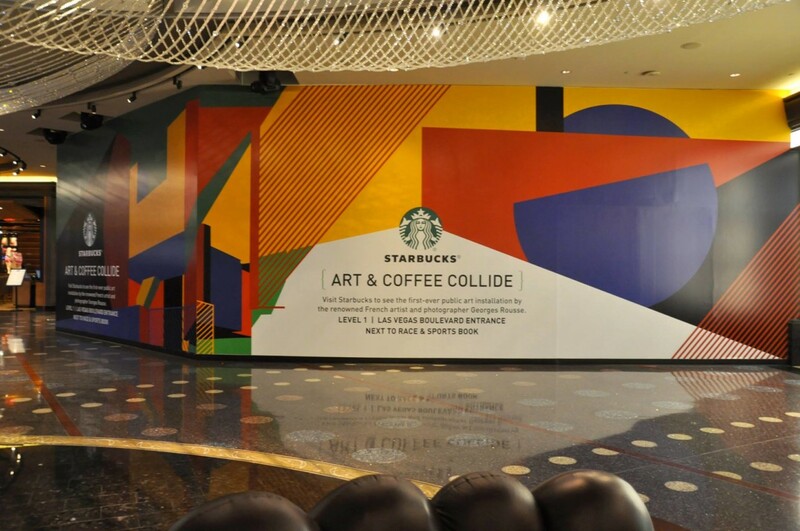 Color Reflections Las Vegas creates Barricade Graphics that are 100% customizable. We are committed to meeting the specific needs and desires of our clients and we guarantee their satisfaction. We can help you create a truly custom product that brings your vision to life. Color Reflections understand that our Barricade Graphics are placed adjacent to or outside of construction areas and we take safety seriously. To ensure the safety of all, we’ve ensured that our Barricade Graphics are created in accordance with strict fire code requirements. While these elements don’t impact the appearance of your Barricade Graphics, they are essential. We would love to chat about how Barricade Graphics can help support your next construction or remodeling project. Color Reflections Las Vegas is passionate about our business and we’re committed to the complete satisfaction of our clients. We can answer any questions that you might have and help you determine the right product for your project. For more information on Barricade Graphics and our Professional Installation Services, as well as information about other products from Color Reflections Las Vegas, please contact us at (702) 262-9300 or use our Rapid Quote™ Contact Form below.